AVALON — Athletic boaters can experience Catalina Island in a new way by participating in the 27th annual Catalina Island Triathlon Nov. 5 and the fifth annual Catalina Island Eco Marathon Nov. 12. Triathlon participants are required to attend a mandatory course talk Nov. 4 at Landing Bar and Grill, 101 Marilla Ave., to pick up packets and discuss safety procedures and course protocol. Hour-long meeting times will be scheduled between 5 and 8 p.m. On the day of the race, participants will meet at Wrigley Stage at 8 a.m., before the race starts at 9 a.m. 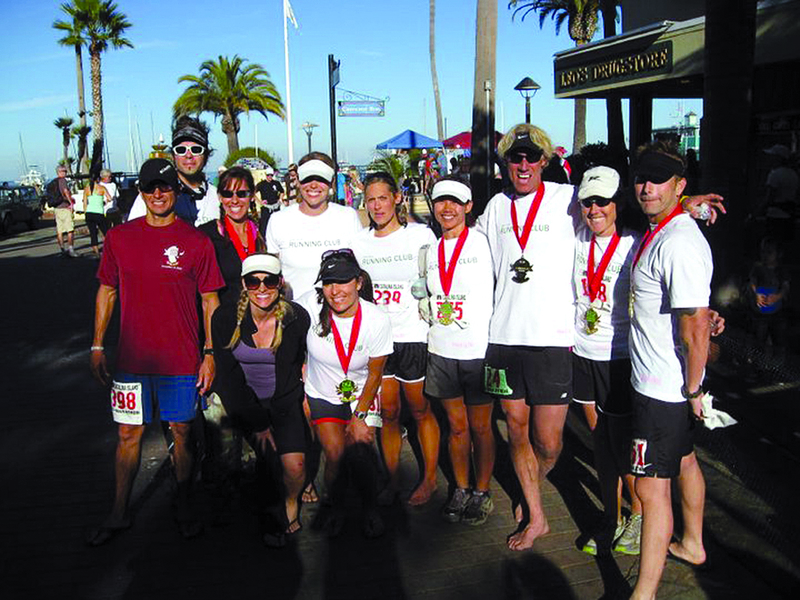 The course features a half-mile swim in Avalon Bay, a 15K bicycle course and a 5K run in and around the town of Avalon. Awards will be presented to the top three male and female winners in each division, as well as to the overall top three male, female and relay team winners. Triathlon participants can get additional details and check out special hotel rates for the event at catalinachamber.com/triathlon. The entry fee is $100 for individuals and $200 for relay teams. For more information, visit catalinaislandtriathlon.com. On Nov. 12, Catalina’s Eco Marathon will take runners on scenic, rugged island trails showcasing three different eco-systems and various plant and animal life. Runners shouldn’t be surprised to see bison along the course, seals in the water and bald eagles overhead. The marathon will start at 8 a.m. at the intersection of Sumner and Trenton streets, while the 10K run will begin at 8:30 a.m. at the fountain on Crescent Avenue. The marathon entry fee is $135, and the 10K entry fee is $40. All marathon finishers will receive a medal and a training shirt, and all 10K runners will receive a shirt. The overall finishers and top three in each age group will receive a medal at an awards ceremony following the race. Runners are invited to arrive a day before the race to pick up a race packet, and enjoy a pre-event pasta dinner and course talk at the Landing Bar and Grill. A percentage of the marathon’s proceeds will benefit the Catalina Island Conservancy. Avalon Lion’s Club, the official charity partner for the eco-marathon, will provide volunteers on the course. Proceeds received by the Lion’s Club will benefit island nonprofit organizations. For more information, visit catalinaecomarathon.com.